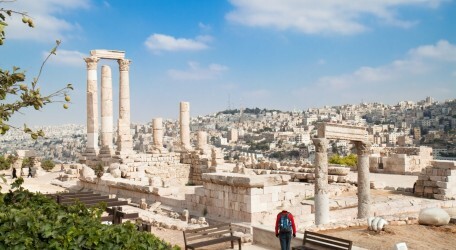 Emirates will add a third daily flight to Jordan from 1 August, representing a further ramping up of services to Amman after Emirates’ flights to Jordan went double daily in October 2012. The new EK 905 will depart Dubai at 2155hrs and arrive in Amman at 2359hrs. The return flight, EK 906, will depart at 0345hrs and touch down in Dubai at 0745hrs. A combination of Boeing 777 and Airbus A330-200 aircraft will be used, as with the existing operation. Flying with Emirates means having a selection of up to 1,700 channels of movies, TV programmes, games and music to enjoy during the flight. Cabin crew from around the world are on hand to look after customers, serving gourmet-chef prepared food along the way. In Dubai, passengers can benefit from one of the world’s leading airport facilities, Terminal 3. The Emirates-dedicated terminal is light, spacious and stress-free and includes Concourse A, the world’s first purpose built A380 concourse. Inside, First and Business Class travellers can enjoy the world’s largest lounges. Passengers transferring in Dubai have a choice of more than 140 Emirates destinations to choose from, including Jakarta, Shanghai, Seoul, Guangzhou, Beijing, Manila, Hong Kong, Sydney, Los Angeles and Boston. A ninth U.S destination, Chicago, will be added from 5 August. Emirates, winner of ‘World’s Best Airline’ at the 2013 Skytrax awards, is known to be particularly generous with luggage allowances. Travellers can check-in 30 kilogrammes in Economy Class, 40 kilogrammes in Business Class and 50 kilogrammes in First Class. Jordan is one of the most popular tourism destinations in the Middle East and amongst the airline’s earliest routes, launching in 1986. In 2011, Emirates marked 25 years of service to Amman. Tourists come from far and wide to see Jordan’s world-renowned attractions such as Petra and the Dead Sea. With the three daily flights from August, Emirates SkyCargo will be able to further support international trade opportunities making use of the cargo deck of aircraft. Goods being imported include seafood, meat, pharmaceuticals and automotive spare parts. Emirates operates daily scheduled flights from Malta to Dubai. On Mondays, Wednesdays, Thursdays and Saturdays Emirates flies via Larnaka, Cyprus, while on Sundays, Tuesdays, and Fridays, the airline operates direct flights from Dubai to Malta and return flights fly via Tripoli.